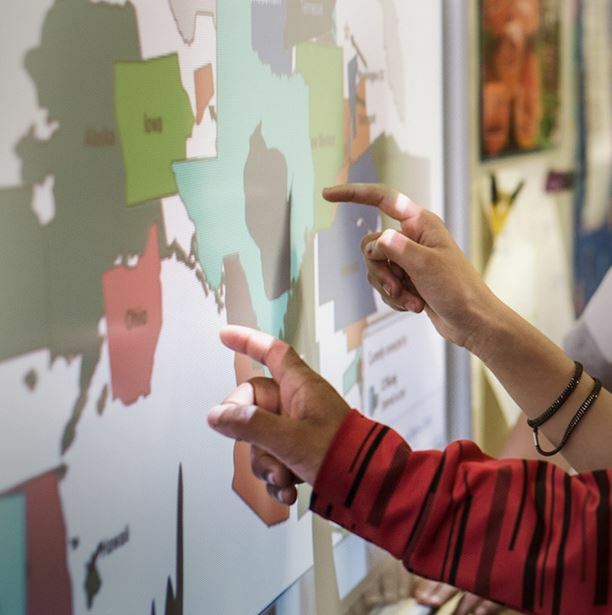 The world’s most popular interactive whiteboard from SMART provides intuitive, seamless interaction and collaboration for students & businesses around the globe. Focused on learning. intuitive design & control, the SMART Board M600 provides dual touch freestyle interaction, that is simple, captivating and engaging at every touch. Powered by SMART Notebook software, the SMART M600 is SMART’s most user friendly interactive whiteboard to date. The M600 SMART Board uses the revolutionary technology, such as optical touch and SMART Ink, that makes SMART the world leader in interactive technologies. With dual touch interactivity, two people can work together, or independently, side by side, using pens and fingers, with pinch, swipe and scroll movements they are used to. Two students can instantly start working together without having to switch to a multiuser mode, or work in confined areas of the surface. Switch naturally from collaboration to interaction with less content. Switch between pen, finger and eraser easily through the pen tray or using Notebook software. Rotate, zoom & flick using natural touch gestures. SMART Notebook software provides the power to inspire learning at anytime, anywhere, and enable whole class instruction. Teachers can create and deliver captivating lessons, and then save notes and content to distribute with students. It provides a common platform for linking classroom technologies and student mobile devices. To make your SMART Board a truly collaboration solution, we have helped many schools, colleges, universities and training establishments to turn their room into a fully collaborative environment. 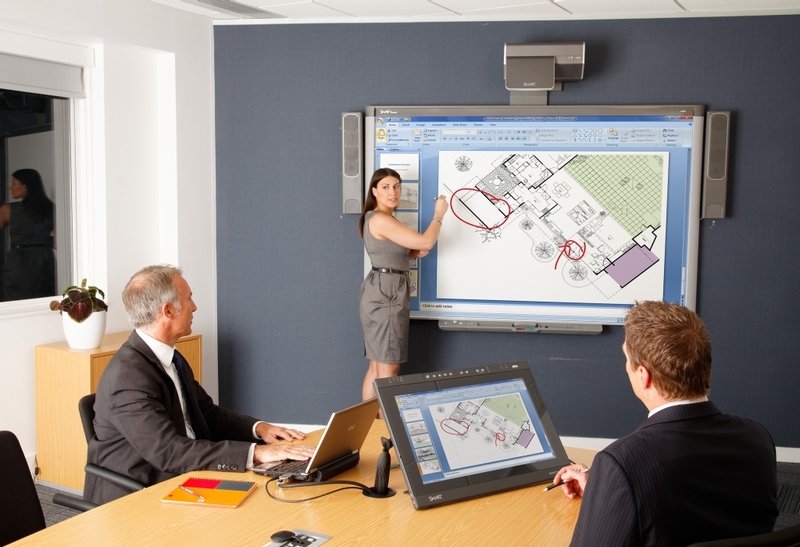 Whether by integrating SMART Boards with cameras & video conferencing codecs, implementing touch screen displays, SMART podiums or bespoke touch panel controllers, or providing services such as training with the equipment, many organisations are now realising the real benefits of a fully collaboration space using SMART technology. SMART BOARD OR SMART BOARD SYSTEM? There are many options within the SMART M600 series to make sure the solution works for you, your students, your classroom, and your team. 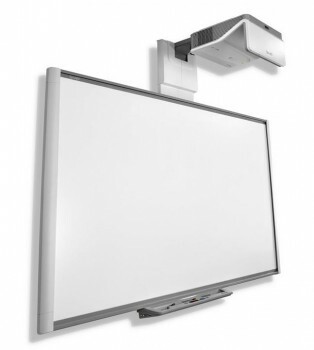 SMARTBoards can be purchased stand-alone, although SMART systems, such as the M680 and M685 include extras such as the UF70 or UX80 projector, SMART speakers and control systems. VideoCentric have been supplying and installing SMART Technology for over 10 years and are highly experienced in integration of SMART Boards within a business environment. 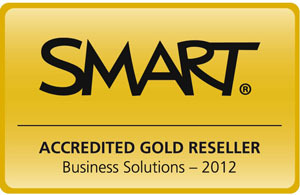 With customers in Education, Healthcare and the private sector, VideoCentric also hold the highest level of accreditation with SMART, SMART Gold Business Partnership, and is one of only 15 company’s in the UK to hold this Gold Business Certification. 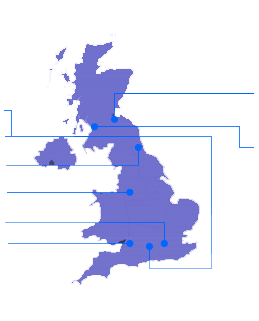 VideoCentric are certified in Sales, Technical and Installation and specialise in the integration of SMART Technology with Video Conferencing and telepresence, multiway collaboration and development of interactive solutions for the industry. Find out more about VideoCentric and SMART on our SMART manufacturer page here. VideoCentric have launched a new series of SMART Training Courses for the UK, including 12 highly certified & experienced SMART trainers – more information can be found here.